Who doesn't fantasize about the elegance of those wonderful days Europe's past when kings and queens strolled down hallways lined with gold and mirrors? Without the beheadings, of course. The Palace of Versailles began as a modest hunting lodge in 1624. Well, as modest a lodge as one could expect from a French King going overboard. Then Louis XIV enlarged and enrobed the old lodge, turning it into the great Chateau we know today. In 1837, Louis-Philippe converted the whole deal to a museum of French History in what may have been the historic starting point for the development of mass tourism. There are 18,000 square meters of history here, a half hour by train from Paris. Of course it's been named a UNESCO World Heritage site that you should visit. Below is a map of the dream-space that is Versailles. It shows the enormity of the gardens that extend to the west of the château. Marked on the map is a recommended hotel and the RER stop that you'll likely depart if you come to Versailles from Paris, and a hotel recommended for its luxury. You might as well live like Louis XIV to get the full effect. From Paris, you can take the RER ligne C (RER line C) to Versailles-rive-gauche-château from Montparnasse station. Other options are found on the Chateau de Versailles web site. The train takes 12 minutes. 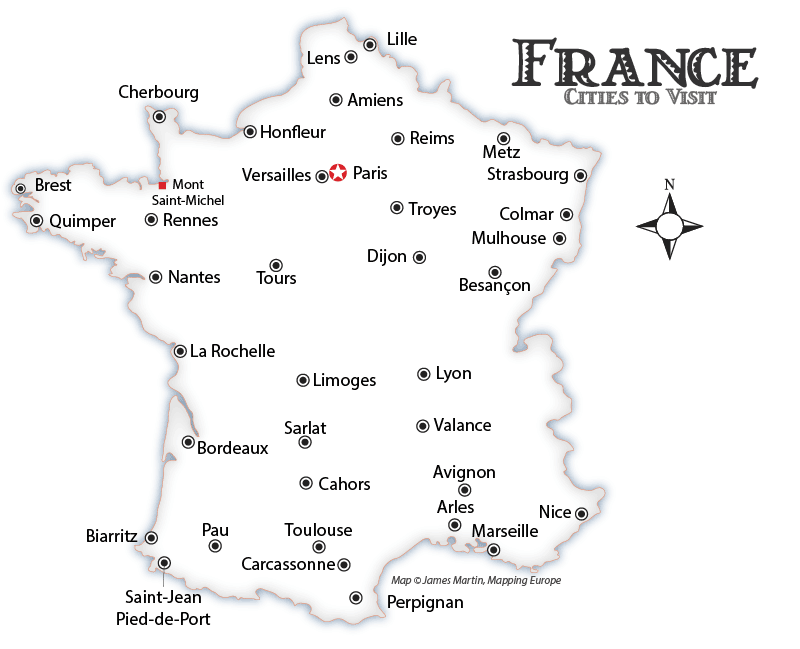 You can drive from Paris to Versailles; it should take you about 20 minutes. It's a 4 hour walk by the way. You can purchase tickets Online from the official Chateau de Versailles website. A variety of tours are available. On the first Sunday of every month from November to March, admission to the Estate of Versailles is free. Closer to home, Viator offers regular admission tickets you can buy in advance, as well as a number of "skip the line" options. See: 10 Best Versailles Tours. The Paris Guy, a spiritual decendent of the Roman Guy, is now giving tours in Paris, one of which includes a "skip the line" tour of Versailles and comes with a round-trip ticket from Paris included. If you've never taken one of these tours, the emphasis is in feeding you historical information in a pleasant and sometimes humorous way that captures your full attention. Guides are local experts with advanced degrees who can answer your questions not only about Versailles, but of Paris and beyond. Take the tour early in your vacation and you'll be armed and ready for a great return to Paris. 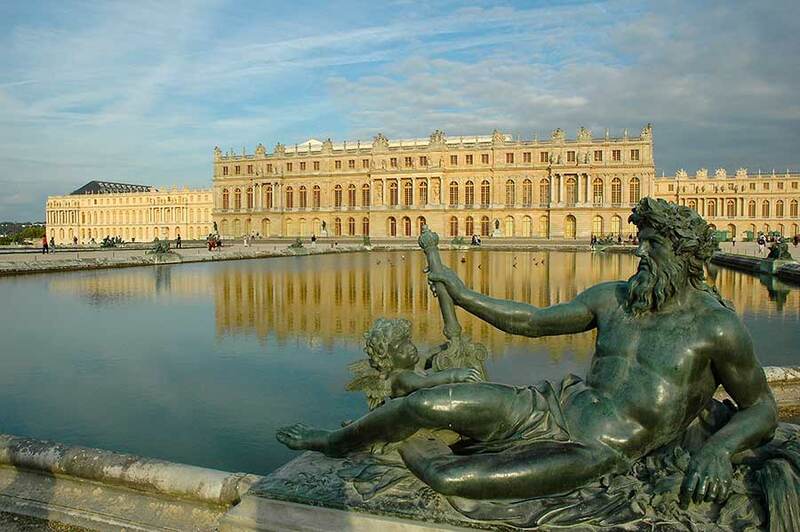 Find out more: Golden Versailles Palace and Garden Tour. Enjoy a 5% discount by using the promo code WANDERING. We recommend Pullman Versailles Château, in an excellent position near the Chateau. It's a luxury vacation, you deserve it! An apartment that faces the palace is Les Demoiselles à Versailles. It gets a 9.8 of 10 review from folks who've stayed there and swooned.